More Fun Than A Barrel Of...Uh Rabbits! Kung Fu Rabbit is Neko Entertainment's second game on the Wii U and is only $4.99 on the eshop, so is this game a bargain or should you save your money and pass on this title? Read the rest of our review to find out! 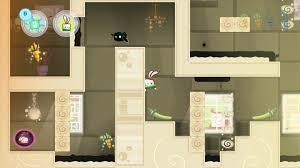 In Kung Fu Rabbit you must collect carrots, face monsters, scale buildings, and avoid black boiling tar pits of doom while trying to save a rabbit disciple at the end of each level and although this might sound hard it really isn't, but the game isn't too easy either. The controls in the game are super smooth and easy to use, especially with the Classic Controller Pro. 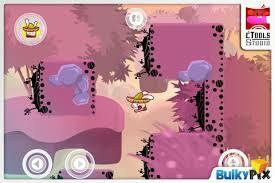 The game features 80 levels as well as special dojo challenge bonus levels, meaning the game has alot of content! You can also acquire weapons and techniques from the dojo once you progress further into the game, but you must equip them before they can be used! The off screen play is really good in Kung Fu Rabbit as the audio and video quality on the Gamepad are perfect in the game, but that's about all all that can be said in this section for this title. 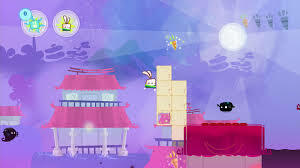 The graphics in Kung Fu Rabbit are very nice looking and have a very eastern flavor to them and the level designs are quite creative. The backgrounds look good and the character models are decidedly retro. The music and sfx in the game are fairly simple and there isn't much variety, but what is there is very nice and fits the game well! 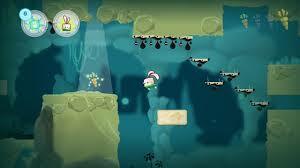 With fun gameplay, smooth and responsive controls, good use of the Wii U Gamepad, and great simplistic graphics Kung Fu Rabbit is a fun game that we highly recommend, especially with its $5 price! 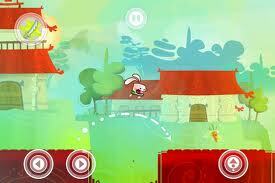 Kung Fu Rabbit is a fun game for its price, but I wouldn't pay more than $8 for the game. Hmm...looks too cute for my tastes. Kung Fu Rabbit sounds like a very fun game.